Album discographies are meant to give our readers a high level look at a musician's recorded output and to facilitate album sales. 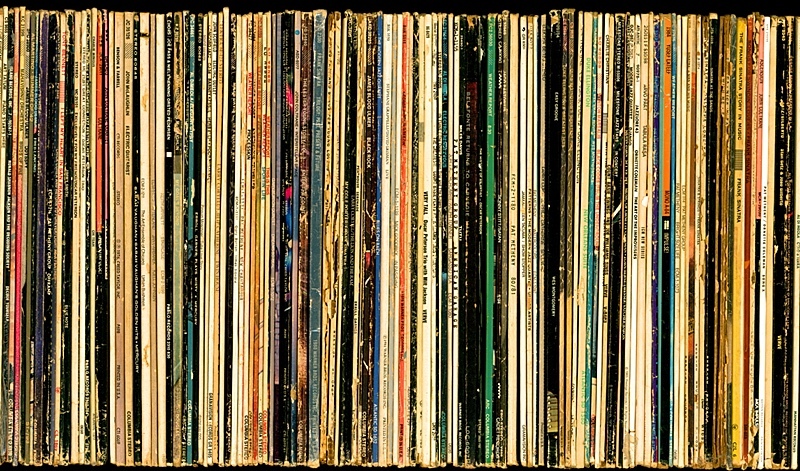 All About Jazz recently created album discographies from our deep archive of album reviews and from the Discogs.com API, resulting in over 100,000 album discography records in our database. And thanks in part to our musician community, we add new albums daily. You can read more about the seeds of the discography project here. 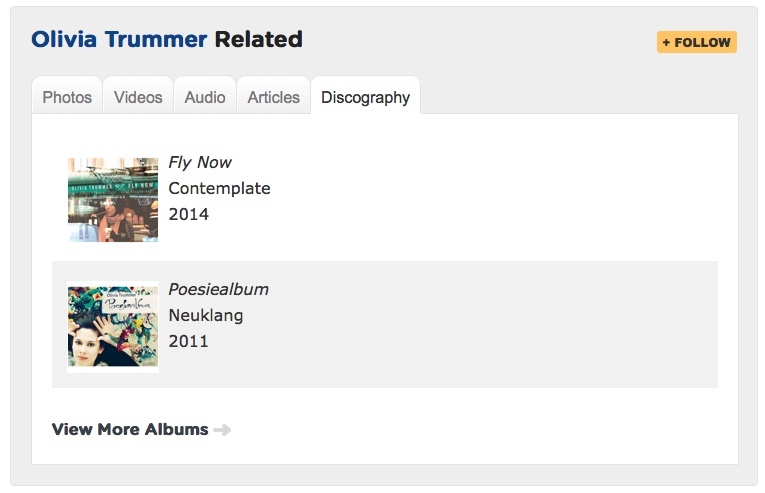 In this article we'll explain how to add, update, and delete albums associated with a musician profile. Our goal is to help musicians sell their music by completing their discography at All About Jazz, so knowing how to add an album or complete a discography will help us help you. I completed several discographies prior to launching the feature: the Charlie Haden and Jason Moran discographies are two good examples. Check them out to view the possibilities. Step 1. Your musician page may already exist (search here), and if it does, claim it, so you can update it. If it does not exist, create it here. If you already have a musician page and have access, move on to step 2. Step 2. From your musician page, click the blue "Update Page" button, then click the "Discography" tab and add your most recent album. Once you click the "Save Changes" button your new release will be added to your discography. Step 3. 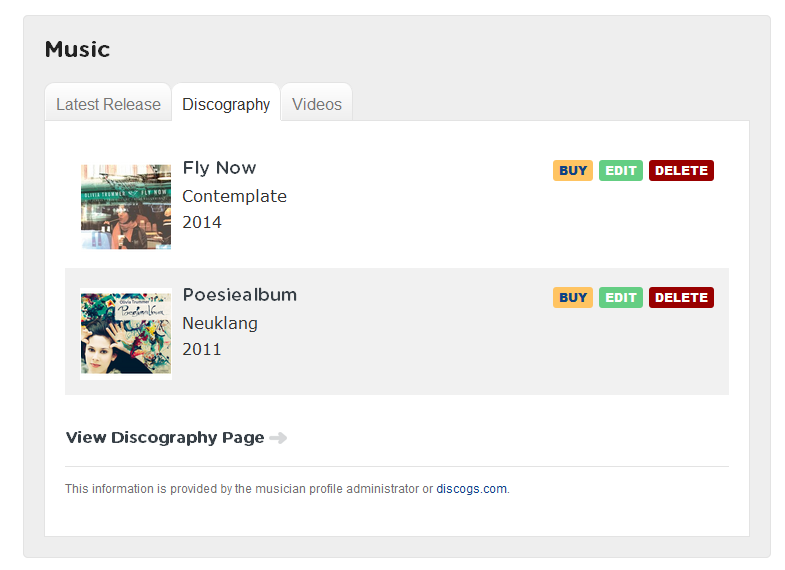 Return to the musician profile update form and click the "Discography" tab. We'll display your last seven albums, which you can update at any time. You can also add a new album from this section. Just below your last album is a "View Discography Page" link. Click it to view all your albums. This page looks much like the information we display on your musician profile update form, but includes your entire discography. You can add albums from this page as well. The yellow "BUY" button currently links to your page at Amazon. You can override the Amazon link with your own after upgrading to the premium page service. Once you complete your discography, this information will appear on your musician page under the "Discography" section. We also added a "Discography" tab to the related musician box that we append to various pages about you including articles, reviews, downloads, news, photos, and events. Sounds great, but how long will it take? No time at all. 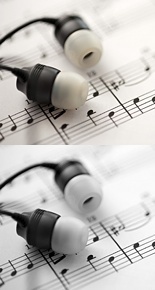 It's your music, you know it best, and completing your discography could take a matter of minutes. If you have any questions, please post them to the comments section below.